Marketing Tip: Delight your audience with social media! The SocialVoiceBox is about building awareness and relationships through your social networks. Here is an excellent article by guest blogger Sonia Simone that discusses 7 basic things you need to consider in your overall social media marketing. Enjoy! By now you know it’s a bad idea to be a digital sharecropper and build your business entirely on someone else’s land (like Facebook, Tumblr, or any other third party you don’t control). How are savvy businesses using social media effectively to find more customers, boost their reputations, and make more sales? Your home base is your website. It’s on a domain you own. You control the user experience — from the content to the site design to the user interface. This is where you show that you know your stuff. That means building a nice cornerstone of high-quality content that demonstrates your expertise in a likable, accessible way. First impressions matter, so make sure the design is clean, professional, and smart. It can still be stylish or funky, if that’s your thing, but it shouldn’t look amateurish or confusing. Your home base is where you post content to answer your readers’ questions, give them interesting tips, and help solve their annoying problems. When someone wants to know more about you, this is where you send them. Your home base is a content marketing tool, which means you need to be communicating primarily with customers, not with other experts in your topic. Don’t just pontificate to show what you know — tie your news and opinions back to how those things affect your customers. 2. Who’s the face of your business? If you want to use social networking platforms like Twitter, Facebook, or LinkedIn, you need a human face to make your social media marketing work. Just like people have always done in public settings (work, church, volunteer activities), you’re going to adopt a persona — a selected range of your thoughts, emotions, and observations. You don’t want to share absolutely everything about the “real” you with your social media connections. You’re going to be social and informal, but in a way that’s relevant, appropriate, and interesting to who you’re talking with. That doesn’t mean I want you to be a fraud. I want you to be friendly and genuine. Sound like a human being, not a corporate robot. And you certainly don’t have to stick to business all the time. It’s fine and good to show that you have a life. It’s not so good to show the world you’re careless, rude, or boring. The truth is, the definition of “appropriate” depends on your audience. If it works for your customers, it’s appropriate. Authenticity for a business doesn’t come from oversharing or boring your audience to death — it lies in doing what you say you’ll do. 3. Who else has your customers? Social networking platforms were designed to make it easy and fun for people to hang out together. That means you’re going to use them to build relationships that will help your business. Look for people who have healthy-sized audiences who are a good fit for your product or service. They may be bloggers, they may be authors, they may have a popular podcast or column in mainstream media. They may simply be social media mavens who have lots of friends and like to share good stuff. These are the people you want to share and promote your excellent content. Cultivating professional relationships isn’t rocket science. Stick to the basics — link to them from your content, comment intelligently on their blogs and social platforms, and be a nice person. Don’t think that picking fights or manufacturing controversy makes you stand out. It doesn’t; it just makes you look like a troll. If you’re going to take a controversial position, make sure it’s one that really matters, and express it with respect. Again, think about where your customers are. If you love Twitter but your customers spend hours every day on Facebook, you need to recognize that Facebook is probably a better venue for your business. It may not be as fun for you — but that’s why they call it work. Only move beyond your primary platform when you’re sure you’re handling it well. A lot depends on the industry you’re in. If you’re a copywriter, social media consultant, or professional content marketer, your customers spend a lot of time in these venues, which means you probably will too. Sites like Twitter and Facebook are seductive places to drop in and just check what’s new. But when your five-minute check turns into twenty-five minutes, and you’re doing that four or five times a day per site, you’re going to find your productivity taking a dive. Remember your home base. That (and actually delivering whatever it is you do) are where the bulk of your time and energy need to go. The best tool I’ve found for managing social media time is a $3 kitchen timer. Decide in advance how much time you’ll spend checking in and being social, set your timer, and stick to it. Yes, be personable. Yes, keep an ear out for customer complaints so you can respond appropriately. And yes, network with peers in your industry to keep your links healthy. But if it feels like goofing around all day instead of working, it probably is. Instead, spend the bulk of your time creating content, whether it’s on your own home base or for a guest post so you can find a wider audience. Use content to educate your customers about what they need to know to make an intelligent purchase. Focus on customer objections, questions, and problems. When you find someone else’s content that your customers will find valuable, share that too — and add a few insights of your own, if you like. Even a 100-character tweet can have content value. Think about what you can say that makes readers’ lives better, rather than just filling up time before you run to Starbucks. Make sure your reader has a good experience every time she hears from you. Keep it both useful and entertaining. Social media conversation is a seasoning that makes your content more appetizing. It’s not the main dish. Too many people think that social media sharing means they don’t need SEO anymore. The fact is, social media marketing is a superb complement to SEO. The same elements that make social media work (sharing content that’s both useful and user-friendly, doing what you say you’ll do, building healthy relationships with others in your industry) are the elements search engines prefer to serve up. Search engines want to find the content that’s a widely valued resource. For too many businesses, social media is a time-wasting ego game. But use the tools strategically — with a focus on content and getting a useful message in front of a wider audience — and they can be brilliantly effective. How about you? 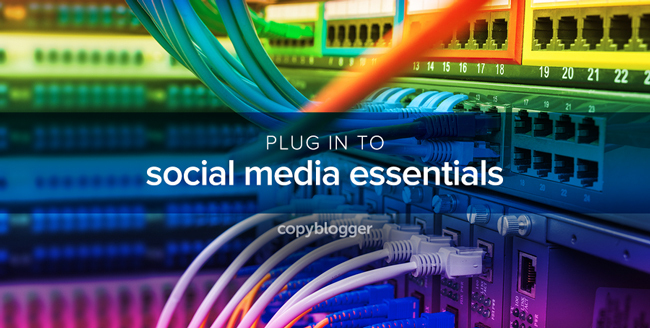 What do you consider the most essential element of social media marketing?